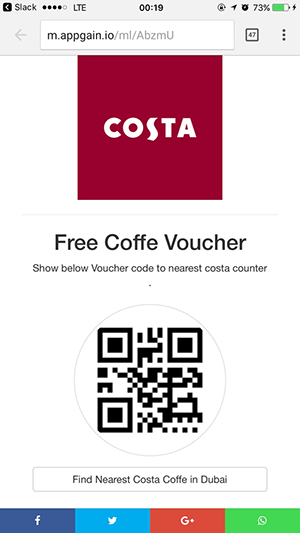 What are Mobile Deep Pages and why they are a Must for Digital Marketers? A Mobile deep page is a mobile web splash page, hosted by us, which is created with our online editor or from your app via API. The page includes a variety of mobile-ready call to action buttons, text, and images, allowing your audience to interact with your app from desktop or mobile, in new and creative ways. Why use Mobile deep pages? Our user-friendly webpage builder allows you to create rich, dynamic, and engaging Mobile deep pages for your marketing campaign. Let your users preview your app content, on the desktop, or on mobiles before they install your app. This approach is less intimidating for your potential users and allows them to preview the best of your app’s content before going directly to the App/Play Store download page. Social Share Friendly: Whenever content is shared, this tool generates an attractive preview that makes the content more clickable. 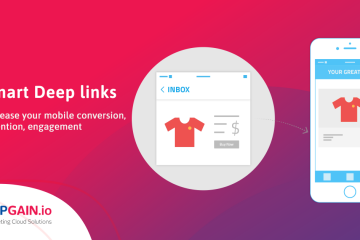 Mobile Deeplinking: Visitors are directed to content inside the app, even if they don’t have the app installed. Cross Platform: Easily useable on PC or mobile. Easy-to-Use Editor: You can easily create landing pages with a built-in image uploader. Web Push Ready: send push messages to your users, on desktop or mobile, even if they removed your app. How Mobile Deep pages benefit business today? • Landing pages have minimal links off the page, as they distract from the conversion goal. You can get all of those benefits from The Appgain.io. It gives mobile app developers the user-friendly tools they need to jump-start mobile engagement, revenue, and brand loyalty. 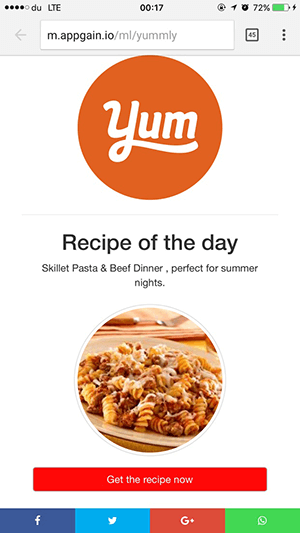 Now that we’ve talked about Mobile deep pages increase your conversion rates now! Log in now and get the free trial to master your technique with our Mobile Deep Page! 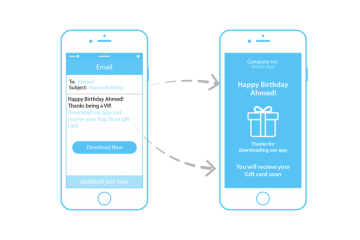 How Smart Deep Link can boost SMS donation conversion ?